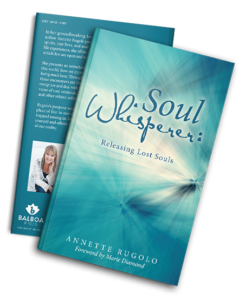 One of the reasons I decided to write my book ‘Soul Whisperer: Releasing Lost Souls’ was because of conversations I had with people who saw spirits around them as a child. When they shared what they saw, the typical reaction would be ‘It’s all in your imagination’ or ‘Stop talking crazy’. The child would then continue to see the spirits and live in a place of fear, grow up thinking they actually were crazy or they would close off from the spirit realm completely. The reaction of the grown-up in their life simply did not see what they were seeing so, of course, they would say or do whatever they needed to resolve the situation. If they did not know how to help, what was the alternative? I like to assure people that they are NOT crazy and that what they are seeing, hearing or feeling IS real. This is an important first step if we are going to help the spirits. As adults, these children can now re-open to the world of spirits, knowing that there are other people who see spirits, too, and can help them help the spirits move on.